Learn Critical Thinking Skills With Math in Levels D to G! It’s different, fun, and academically challenging! Levels D to G are reproducible for single-classroom use or single-family use. Uses the spiral review method. 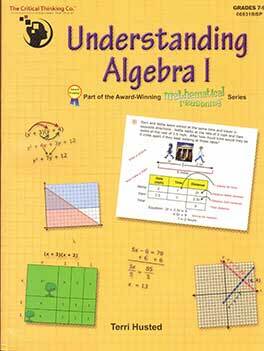 Mathematical Reasoning Level D can be a supplemental resource or your core curriculum text. Learn critical thinking skills in math with this colorful book. Skills are taught using the spiral method and then reviewed later. Level D follows the standards of the National Council of Teachers of Mathematics. Grade 3, paperback, 349 pages with answers in the back. Mathematical Reasoning Level E can be a supplemental resource or your core curriculum text. Level E follows the standards of the National Council of Teachers of Mathematics. Grade 4, paperback, 384 pages with answers in the back. Mathematical Reasoning Level F can be a supplemental resource or your core curriculum text. Level F follows the standards of the National Council of Teachers of Mathematics. Grade 5, paperback, 384 pages with answers in the back. Mathematical Reasoning Level G can be a supplemental resource or your core curriculum text. Level G follows the standards of the National Council of Teachers of Mathematics. Paperback, 448 pages with answers in the back.